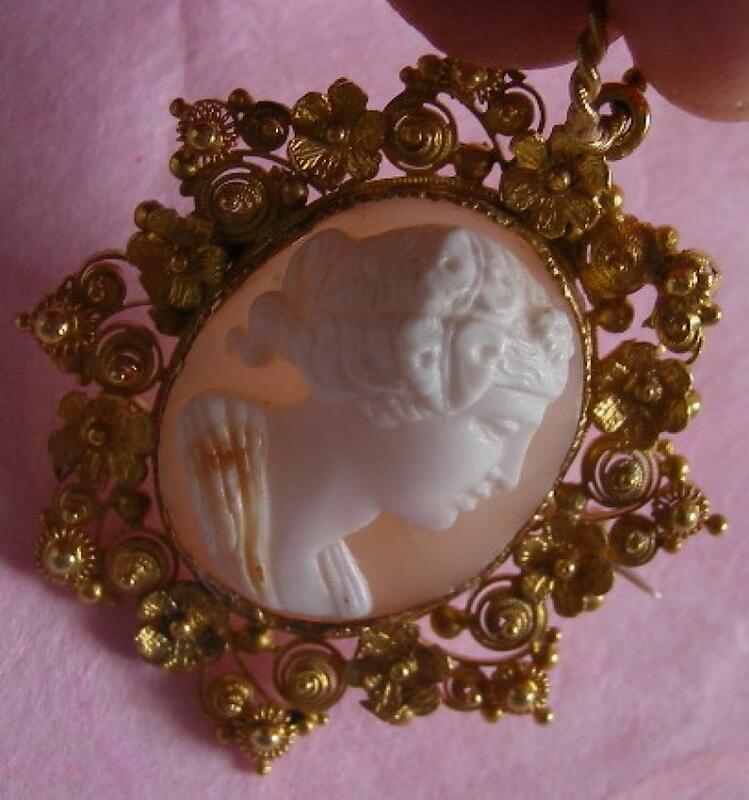 Material : Sardonyx Shell, 18 k gold tested. 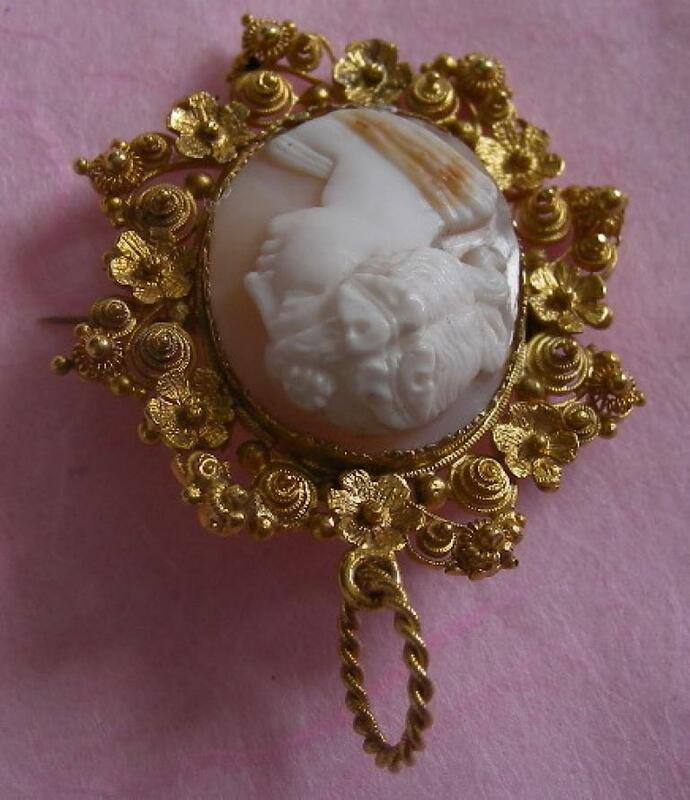 Size: 1 6/8 " including the bale by 2/8". 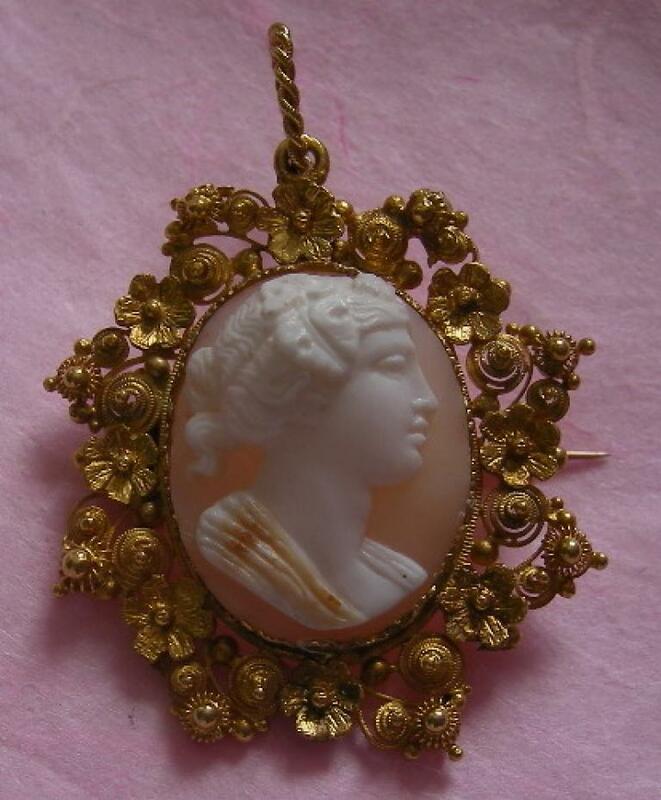 Date and Origin: Circa 1870 Italy, frame is English. 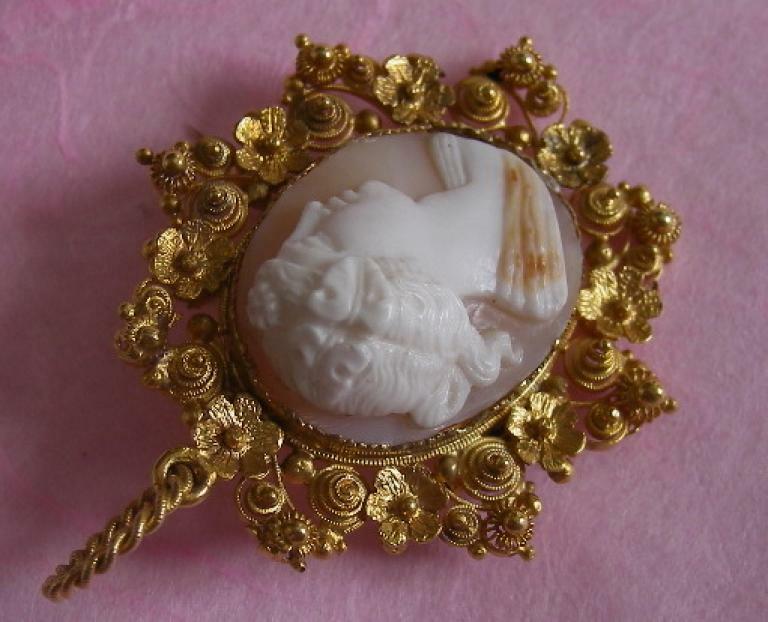 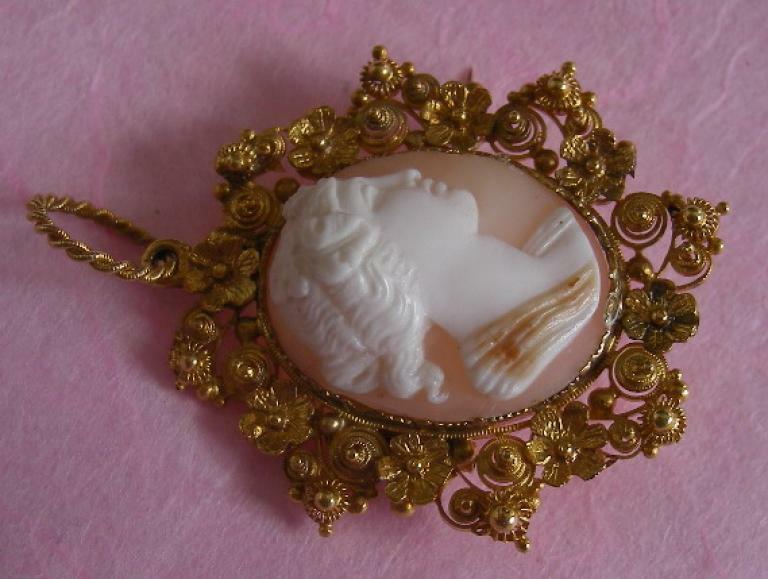 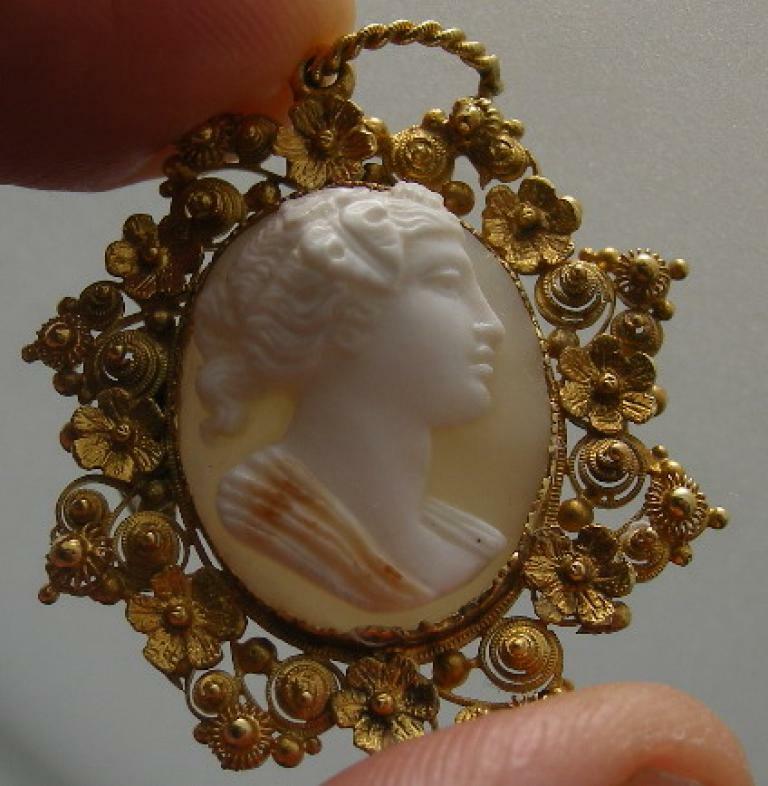 Very good quality cameo brooch depicting a bacchante. 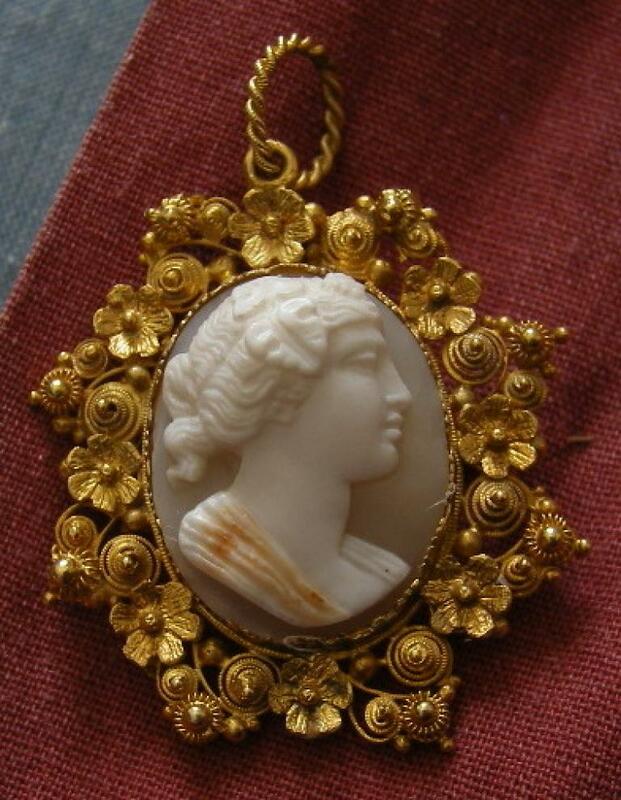 Bacchantes were followers of Bacchus (or Dionysus), the God of wine. 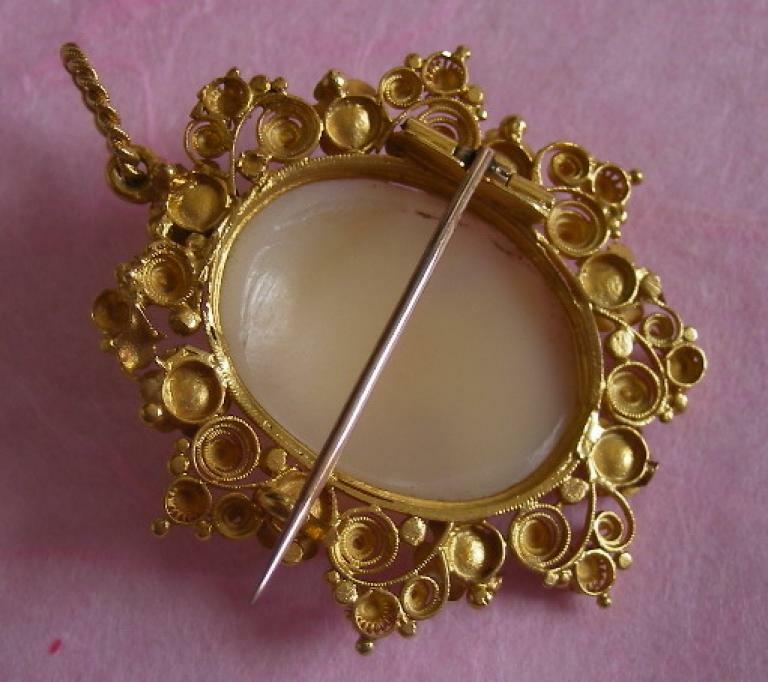 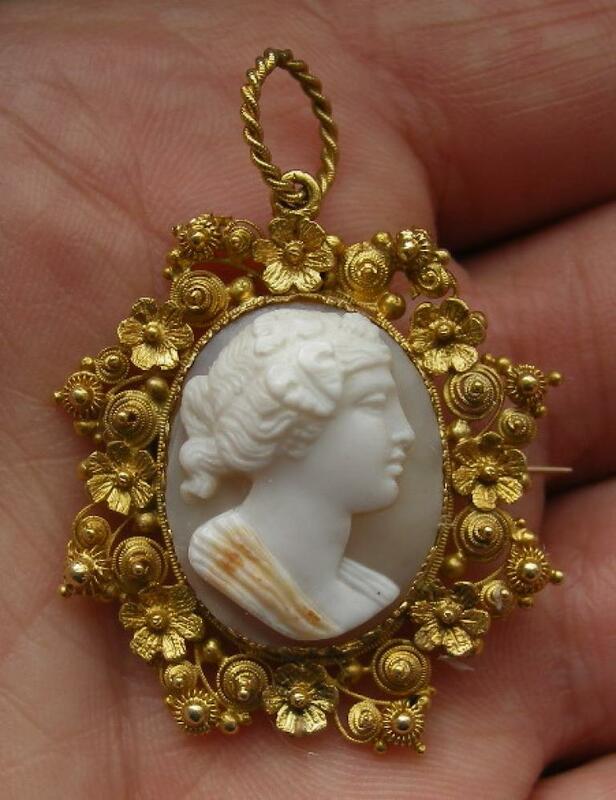 The frame is more than spectacular, flowers and intricately gold work, 18 k gold . 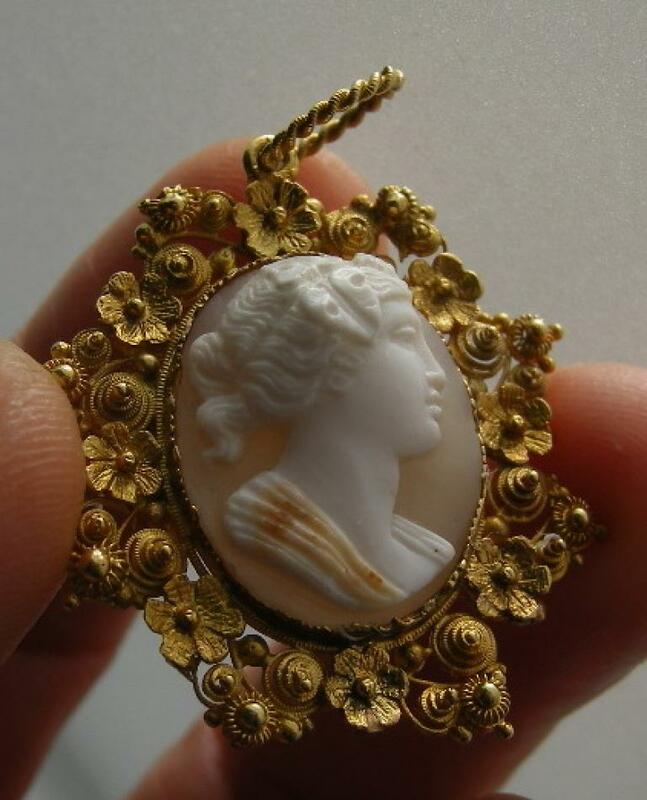 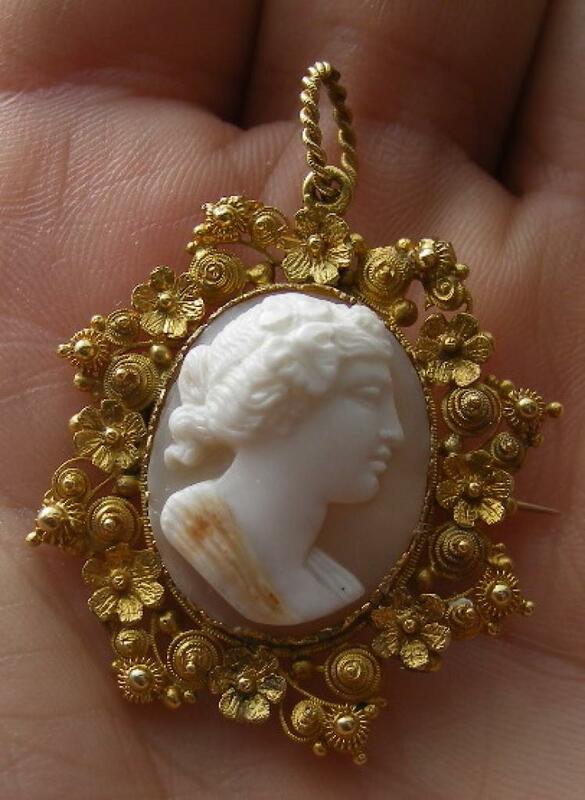 This is a wonderful work of art, very detailed cameo. 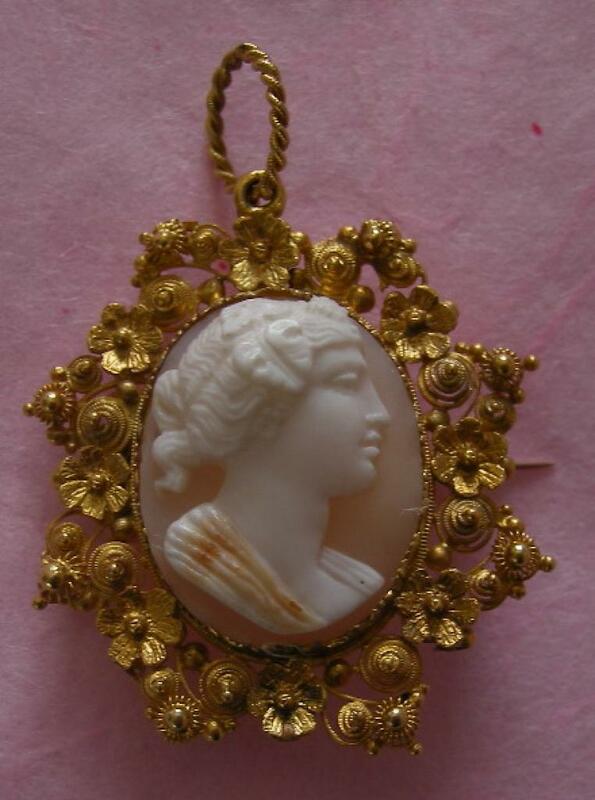 Rarest cameo and frame very desirable collectors' piece.